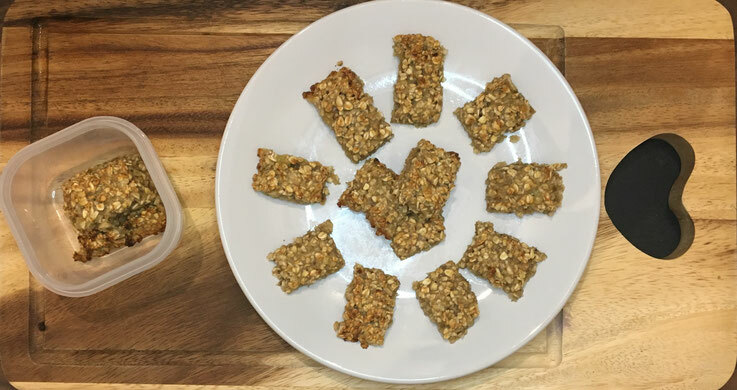 These oat bars are super easy to make and a great way to give your baby a nutritious snack once they are weaning. Great for at home and for taking out. Add in 90g of oats and mix it all together. Place the mix onto the baking paper and spread it out into an even square, about 1cm thick. 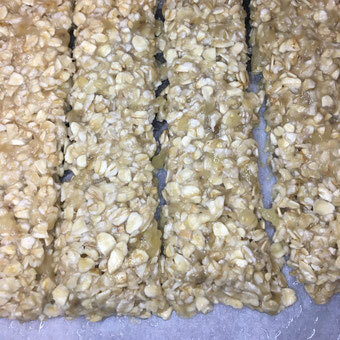 Cut into lines and then cut across to make bars, with a sharp knife. Place in the oven for 13 minutes. Remove from the tray and allow them to completely cool. 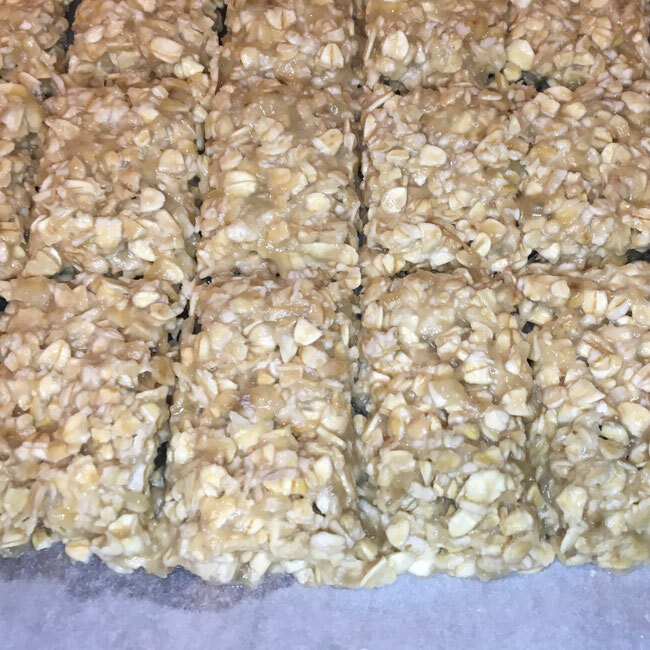 These are great for baby and for you as snacks, you could make your own batch and add in some delicious berries and nuts. 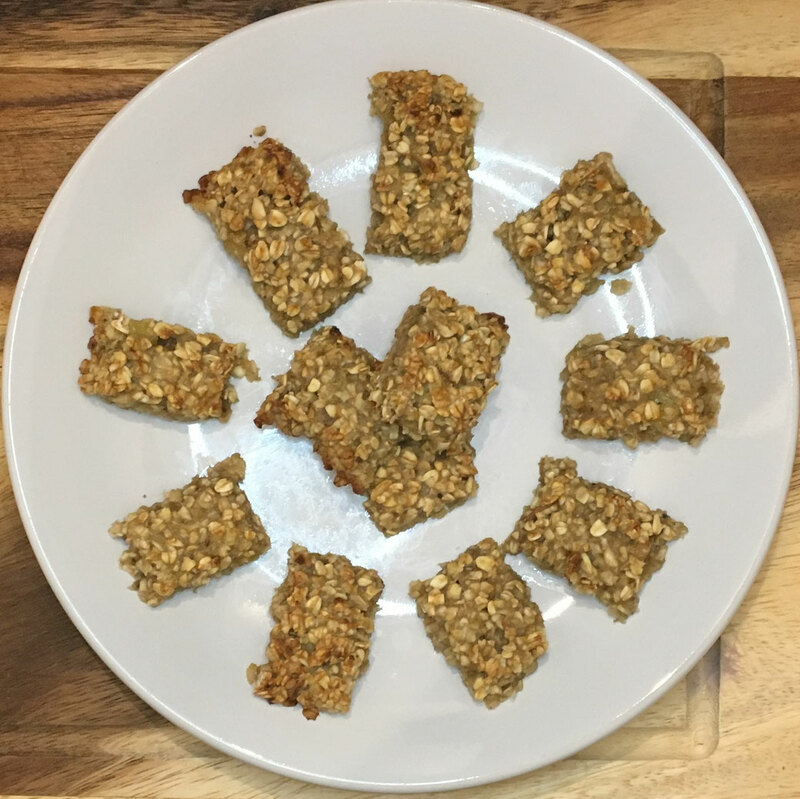 We have lots more free recipes for you, click here to see more healthy snacks. Find out more about our classes and book your FREE Move with Mumma fitness session here.